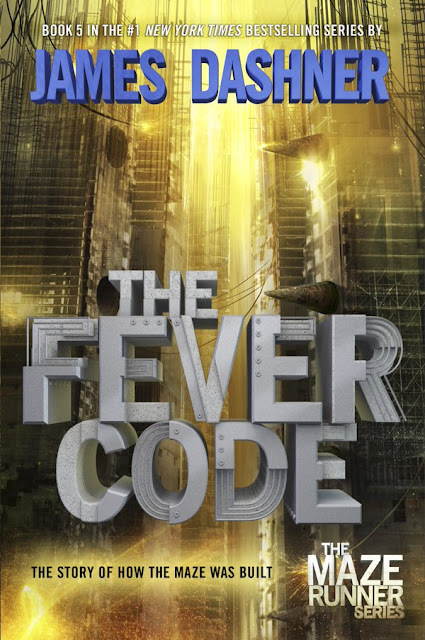 Empire of Books: The Fever Code gets a cover! I am so excited for James Dasner's The Fever Code! It serves as the second prequel to his hugely successful The Maze Runner trilogy, with the first prequel, The Kill Order, published a few years ago. Now, Dashner is set to show how the maze itself was built as that is what The Fever Code focuses on. Even the newly released cover shows that, looking eerily similar to the cover of the first book, only with the maze looking like a construction site. It looks great and I can't wait! It's out September 2016! Only 9 months to go!